Good Times and Good Food in Haleiwa. Our Site Is Now Available In Japanese, Chinese & Korean! Select Your Language Below. My FAVORITE shrimp truck! This is my all time favorite lunch spot when I come to the north shore. I use to prefer Giovanni’s, just because of the hype, but this place is soooooooo much better! 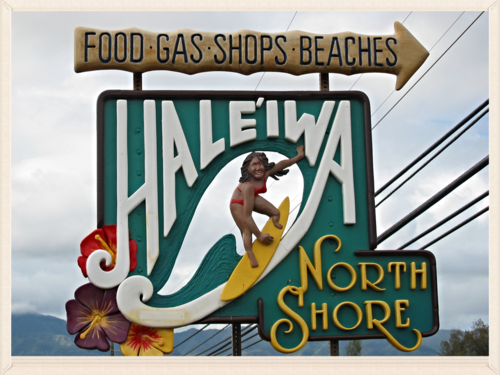 Planning a trip out to Haleiwa? 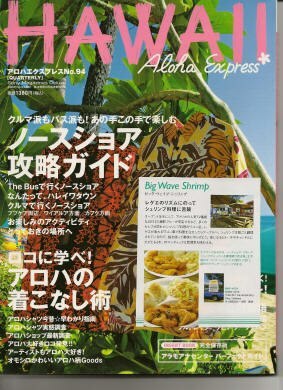 Cool breezes, succulent shrimp and local music are waiting for you at Big Wave Shrimp located in Haleiwa on Oahu’s beautiful North Shore. Enjoy Hawaiian-style lunch and dinner plates with us. 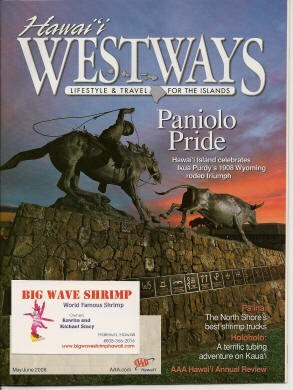 Check out our Instagram feed @BIGWAVESHRIMP below to stay updated on our ‘Ono menu, guest spotlights and exciting news and events taking place at our food truck! VISIT OUR GALLERY TO VIEW MORE PHOTOS OF OUR GUESTS AND FRIENDS. We are Ohana. 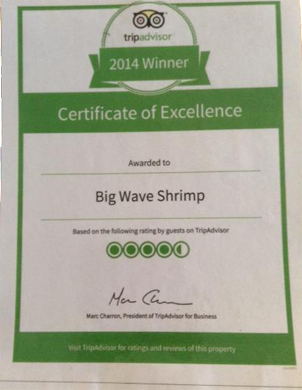 Located in the heart of historic Haleiwa town, one of Hawaii’s most beautiful and picturesque spots, Big Wave Shrimp is sure to add to your relaxing experience. With lots of tables, shade and calming music to add to the ambience, we are sure to make your dining experience one to remember. We are prepared to “wow” you with our Hawaiian style cooking along with your favorite local beverages and ono shave ice. Hele Mai, come dine with us! We promise, you’ll be glad you did! 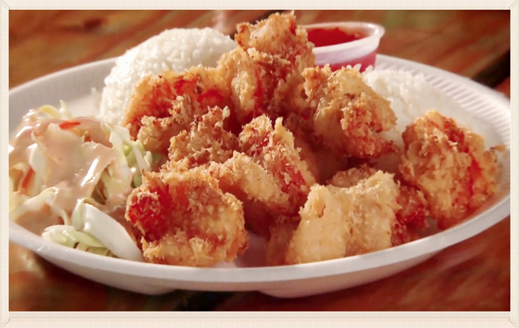 Located in Haleiwa on the North Shore of Oahu, Big Wave Shrimp has been serving delicious Hawaiian style food for 9 years. We put aloha into each plate that is served to our guests and look forward to meeting new faces and talking story with friends who have become our Ohana. 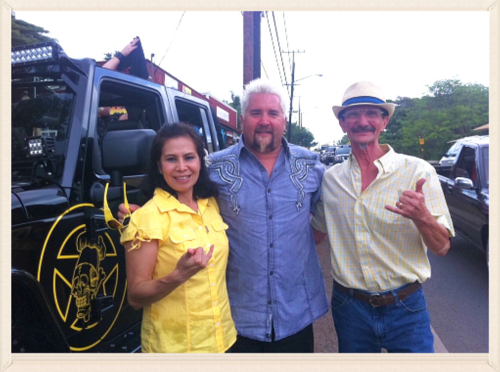 We were so fortunate to have been featured in an episode of “Diners, Drive-ins & Dives.” It was an honor working with Guy Fieri and his team who dropped in for some Ono Hawaiian grinds. Watch the episode of DD&D below and enjoy more episodes with Guy and his crew at Food Network. Kawita is the heart of our Big Wave Shrimp truck. With a smile on her face, she adds love and ono-licious ingredients to every plate she serves. 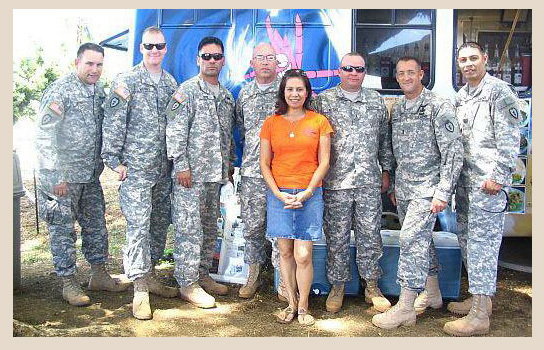 In addition to showcasing her talents on the Food Network, she has also been featured in Triple A Travel magazine and Aloha Express. Come visit us and see why everyone loves my wife’s cooking! We offer Kama’aina discount to express our deepest appreciation for our local patrons who continue to support us. In addition, it is our honor to show gratitude and respect to the men and women who serve in our armed forces by offering a special military discount. You are welcome to come and sit at our table anytime! Visit Food Network to view more episodes of Diners, Drive-Ins & Dives and The Travel Channel to watch more episodes of Bikinis & Boardwalks.